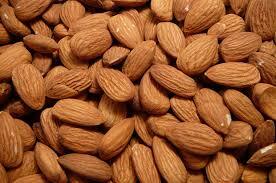 With our years of experience in the industry, we are able to offer high-quality Almond Nuts. These are hygienically processed by our trusted vendors. Delicious in taste, these crispy nuts are in high demand in the market. Used for making ice-creams, cakes, edible oils, etc., the presence of these nuts in food items enhances the taste. These are also used in making many cosmetic products because of their complexion enhancing properties. We offer this product at a pocket-friendly price.